More than a century later, the USGS operates more than 10,000 stream gauges around the country. They're remarkably similar to that first Embudo gauge. Other countries operate thousands more. Try, for example, to measure how much snow is stored in a mountain range like California's Sierra Nevada. This water is a critical resource for the state. The Sierra Nevada contains about 130 "snow pillows" that measure the amount of water stored in the snow directly above them. 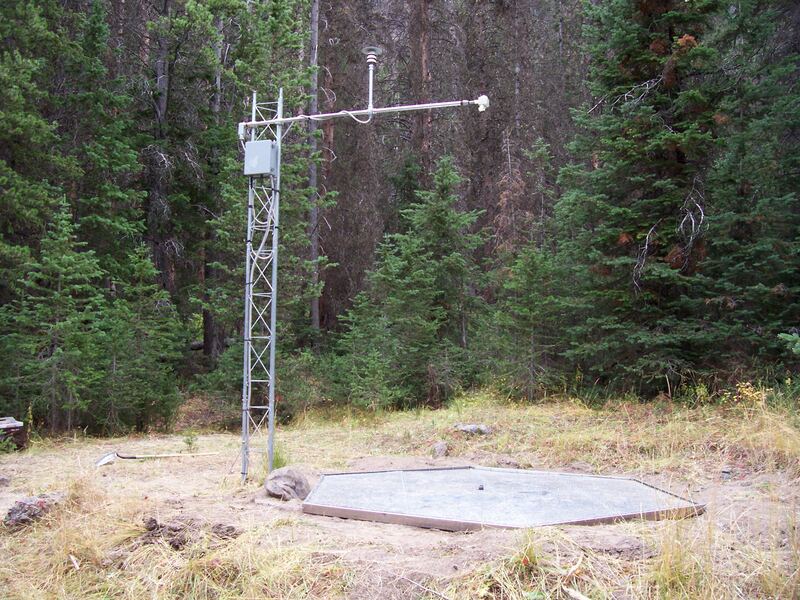 But the area measured by the sensors is something like 2 millionths of a percent of the total area of the Sierra. If you try to figure out the total water stored in the Sierras, you run into a methodological wall. There's no good way to get there directly. This kind of problem crops up all over hydrology, from snow to soil moisture and rivers to reservoirs. 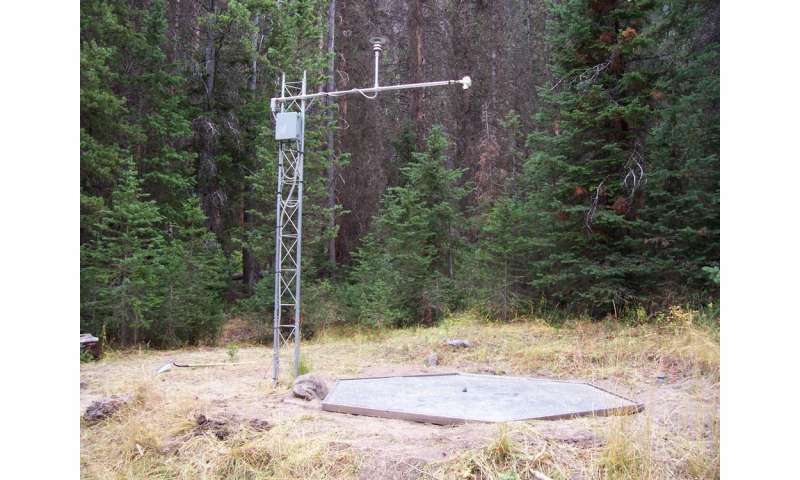 Although putting out more sensors is an option, they are expensive to maintain, and it's impossible to put out enough to measure an entire mountain range. A better option would be to measure large areas all at once. The University of Saskatchewan's Jay Famiglietti was one of these scientists. Much of Famiglietti's work has used the Gravity Recovery and Climate Experiment (GRACE) mission, a pair of satellites launched in 2002. The satellites, nicknamed Tom and Jerry, chase each other around the planet and use tiny variations in the the distance between them to measure changes in Earth's gravity. Many of these variations come from water moving around. GRACE tracks changes in total water storage across groundwater, the surface and the atmosphere. "[GRACE] paints a compelling picture, because it allows us to see the human fingerprint on water availability, and the climate change impact on water availability," Famiglietti told me. Some of his work with GRACE has shown deep losses of groundwater in northern India, the Middle East and other places that could be vulnerable to future water shortages. The original pair of GRACE satellites went offline in 2017, but a new pair launched the following year. Starting in 2014, a new generation of satellites has offered improvements. The Global Precipitation Mission, a constellation of satellites, has substantially improved on TRMM.IceSAT-2, which NASA launched in 2018, has much better lasers than its forerunner. Dedicated soil moisture missions launched by the European Space Agency and NASA offer more finely tuned measurements than past sensors could. I am part of an international team that will launch the first project dedicated to measuring Earth's most readily accessible water resources: rivers and lakes. 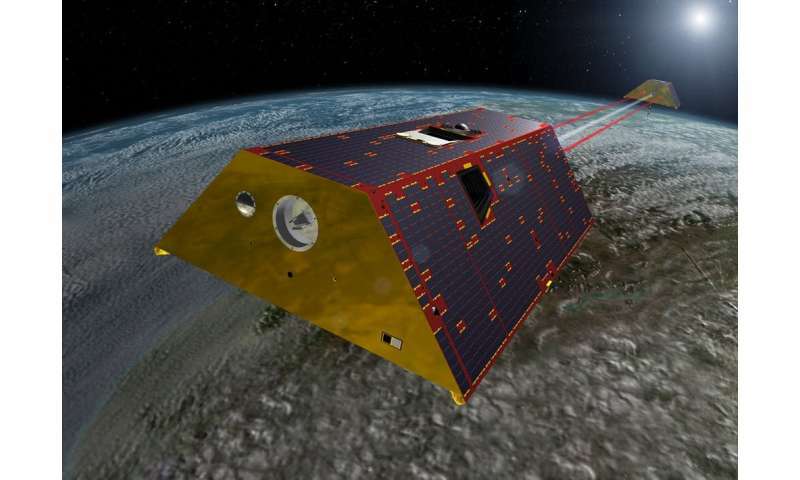 The Surface Water and Ocean Topography (SWOT) mission is an active sensor that, starting in 2021, will send radar pulses down to Earth and measure how long they take to return to the satellite. Through finely tuned algorithms, SWOT will measure changes in the amount of water stored in millions of lakes and reservoirs around the world and estimate, from space, the amount of water flowing through most of the world's major rivers. With all these satellites, hydrologists will be able to track many individual parts of the water cycle using observations from space. The next challenge will be putting all of those measurements together in a coherent way. Each satellite has its own idiosyncrasies. Scientists are working to integrate all of their past and present data with computer simulations of Earth's water cycle. Together, these observations can help better predict drought, track floods and inform the world about how climate change is altering access to water resources. For example, a suite of satellites showed that the world's landlocked basins, already among the driest places on Earth, most notably the Aral Sea in Central Asia, are rapidly losing water. Space agencies are also designing new missions to cover parts of the water cycle that current satellites can't yet adequately observe, like the snowpack in the Sierra Nevada. Estimating evaporation also remains a real challenge. 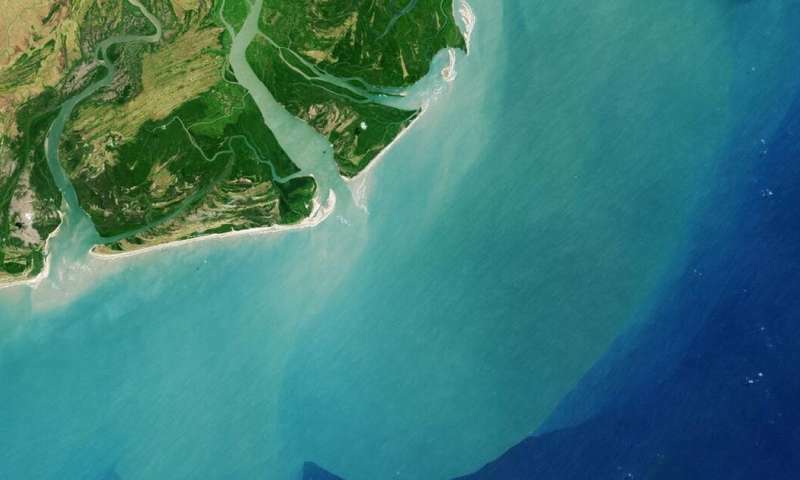 Current methods produce very different global patterns, and the path toward new solutions for reliably estimating evaporation from space remains uncertain. Satellites have gone from curios on the sidelines of hydrology to central players in understanding the global water cycle. 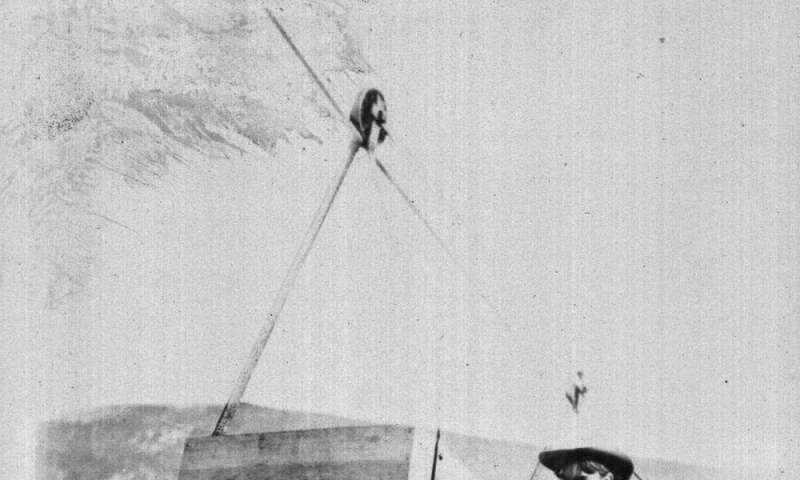 When John Wesley Powell sent 20-odd members of the new USGS to the banks of the Rio Grande, he likely couldn't have imagined that, 130 years later, water scientists like me would be following in his footsteps using satellites orbiting hundreds of miles overhead.